1.1.1. We want your stay with us to be enjoyable and hassle-free; after all this is your home, pretend we’re not even here. We’re not a big fan of rules here at Go Native but in order to make sure everyone gets the same great experience, gets along well with their neighbours and looks after our property, we needed to put a few in place. We think we’re pretty fair and we trust our Guests to work with the Terms and Conditions throughout their stay. 1.2.1. The personal details you provide to Go Native are for the purpose of processing your booking for accommodation. From time to time, we may share your details with third parties; if you would prefer we didn’t do this, please let us know. 1.2.2. We work within the guidelines and requirements of the Data Protection Act. 1.2.3. We take care to ensure that we keep accurate records of our guests. In the unlikely event that you find any incorrect information about you on any of the documentation we send, please contact a member of the Go Native team as soon as possible, so we can correct our records. If we don’t hear from you within 48 hours of any document being sent to you, we’ll assume we got it right. 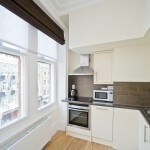 You’ve booked an apartment through Go Native, which may mean an apartment that we own, an apartment that is managed by us on behalf of someone else, or a third party apartment provider. Where a booking has been made online or over the phone to a member of our team, it is made in accordance with these Terms and Conditions with any specific amendments advised to you during the booking process. We’ll do our best to match you with the style and size of apartment that you requested and we’ll confirm the exact apartment number to you upon your arrival. 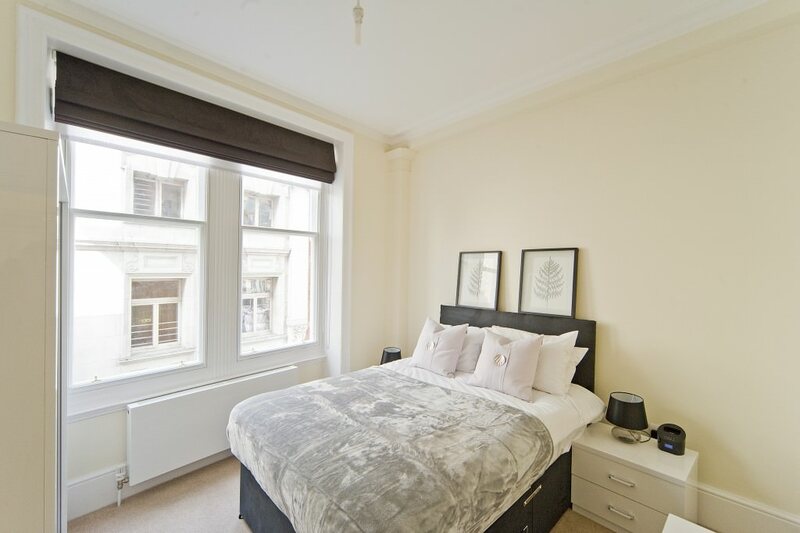 In some cases you may have viewed and requested a specific apartment, whilst we will do our best to meet your requirements we reserve the right to reallocate you. When you make a booking with us, it’s your responsibility to inform us of the names of the relevant guests and whether they are adults or children. It’s important we know who’s living with us at all times. If you or any other occupant of the apartment has special needs or a disability assistance dog, please let us know at the time of booking. For stays of 90 days or more, at the point of booking and prior to checking-in to the apartment you will need to inform us of the name and contact details of any previous Landlord of the Occupants. 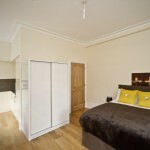 We will request a reference from their previous Landlord and your booking will be conditional on this reference confirming that the occupation of the previous Landlord’s property occurred without breaches of the terms of any agreement between you and that the property was left in a satisfactory condition. We will request a copy of valid photographic identification upon arrival. The ID must belong to the named person on the booking and be a match to the name of the cardholder who paid for th booking. In the event ID is not provided or there is not a match to the name on the booking and the name of the cardholder, we reserve the right to refuse the booking. other than GB Pounds Sterling is an estimate based on a conversion of the price in GB Pounds Sterling to the other currency. The exact price you pay will then depend on the exchange rate applied by your bank or card issuer and is not the responsibility of Go Native. In the event you are entitled to a refund it will be applied in GB Pounds Sterling. Go Native accepts no liability for any fluctuations in exchange rates that may occur between the original payment date and the refund date. reside in the apartment for the entire occupancy period. If you’re new to Go Native we may ask you to provide proof of ownership of any valid payment card you use to make payment to us. If you’re not able to provide proof of ownership to us, we reserve the right to refuse the booking. The card used to make the booking must be presented at the time of arrival. Where the name on the card does not match the name on the card used to pay for the booking; we reserve the right to refuse the booking. Payments made by debit card won’t incur a transaction fee. If you wish to pay by credit card, we’ll charge you a transaction fee of 2.0% of the total value of each payment made to us. For American Express cards the transaction fee is 2.95%. We may pass your valid payment card details to a third party to process any payments. Your apartment is either owned, operated or managed by Go Native, or belongs to a third party apartment provider, with us acting as an agent. The status of each apartment will be made clear on your booking confirmation and in the Licensor details on the Accommodation Agreement. The apartment you have been allocated to may be operated by a trusted third party supplier to Go Native. Go Native acts as an agent on behalf of its third party apartment providers in relation to the accommodation owned or controlled by those third party apartment providers. Reasonable care has been taken that the content of the Go Native website (and/or other means of promotion or advertising) is correct but it is subject to amendment at any time without notice. All content on the Go Native website (and/or other means of promotion or advertising) is published in good faith but you acknowledge that we cannot check the accuracy of all information provided by its third party apartment providers. If any specific item advertised in relation to an apartment or building is important to you, you should contact a member of our Guest Services team who will enquire with the provider on your behalf. You and any occupants or visitors you permit to enter the apartment or building must comply with any rules and regulations set by the third party apartment provider in relation to their apartments. 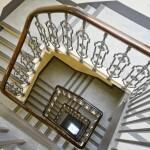 Full details of third party apartment provider restrictions are available on request. These terms and conditions apply to all apartments we market. Some apartments owned or operated by third party providers may have additional terms and conditions which will apply in addition to these terms and conditions. In the case of a conflict between these terms and conditions and any additional terms and conditions these terms and conditions will override except in the case of a cancellation policy. In the case of cancellation or amendment of your booking, the specific policy that applies to your booking will be advised to you during the booking process and in the absence of any specific statement the applicable policy is documented in the Cancellation and Amendment Policy. 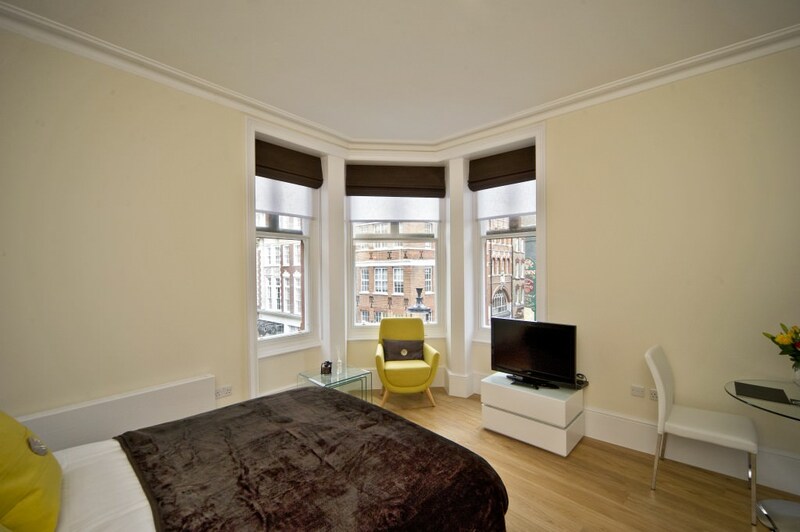 Your booking constitutes an offer to us to enter into a contract to hold space for your use within a building we operate, or a building we manage on behalf of someone else or a building that belongs to a third party apartment provider. The contract is formed on the terms and conditions set out in this document, the Cancellation and Amendment Policy, when we email you at the address you provided to us during the booking process to confirm your booking, whether or not you receive that email. Once we have confirmed your first payment, you confirm that you accept and will comply with these Go Native Terms and Conditions. For bookings of greater than 28 nights in length, we may ask you to pay a Security Deposit. The Security Deposit will be the equivalent of 28 nights at the occupation rate for the apartment type. We will keep hold of the Security Deposit while you stay with us and we’ll return it within 7 days of your departing, minus any deductions for damages, cleaning, replacement goods, unpaid accommodation or service fees. We reserve the right to request a security deposit without prior warning, upon point of check in. Failure to pay the requested security deposit will result in your booking being cancelled. This Accommodation Agreement does not create a tenancy and therefore Go Native will not register your Security Deposit in an approved Tenancy Deposit Protection Scheme. VAT may be applied to the cost of your booking or it may be included in the rate. This will be made clear to you at the point of booking. VAT will be applied at the prevailing rate in force at the time of invoicing, in accordance with HMRC guidelines. Cancellation terms vary depending upon whether you have booked an apartment in a property owned by Go Native, an apartment managed by Go Native on behalf of someone else, or an apartment from a third party apartment provider. Cancellation terms apply independently to any booking made with us via our own website, reservations centre or any partner sales channel. The specific cancellation terms are advised to you during the booking process and confirmed to you in the Booking Confirmation. These terms may, for specific types of booking, prohibit cancellation altogether. Where no specific cancellation policy is advised to you during the booking process the Standard Cancellation policy stated below shall apply. 1 – 6 nights No less than 72 hours before midday on the day your booking commences. 7 – 27 nights No less than 7 days before midday on the day your booking commences. 28 nights or greater No less than 14 days prior to midday on the day your booking commences. 7 – 27 nights A fee equivalent to the accommodation fee for an occupation period of 7 nights at the occupation rate you have been charged, plus the administration fee. 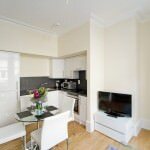 28 nights or greater A fee equivalent to the accommodation fee for an occupation period of 14 nights at the occupation rate you have been charged. If you haven’t checked-in by midnight on the Commencement Date and you’ve not informed us that you intend to arrive at a later date, we will assume you have cancelled the booking and will apply our cancellation as outlined above. We fully reserve the right to cancel, at our sole discretion, any booking agreement made with us at any time up to the point of Check-In. Once you have moved in to the property, if you breach any part of this agreement we will terminate your booking with immediate effect. Our amendment policy is set out below; however, where we act as an agent to a third party supplier the amendment policy of that supplier may differ from our own policy and shall apply to the booking. The amendment policy of any third party will be confirmed to you in writing at the time we confirm a booking. If you wish to extend your booking, we will need some notice from you, preferably by email. We will try to extend your booking in the same apartment where possible but we cannot guarantee this. If you don’t provide us with adequate notice, this increases the likelihood of us needing to accommodate you in another apartment or building, or not being able to accommodate you at all. If we’re able to extend your booking, we will take all additional payments from the registered payment card on your account or we will amend your Recurring Card Payment accordingly, to cover additional Accommodation Fees and Service Fees. If you wish to check-out prior to your booked departure date than you will remain liable for the full fees for the booked occupancy period at the occupation rate. In certain circumstances we will allow a booking to be amended to an earlier departure date. If your amendment to an earlier departure date reduces the length of the occupancy period such that it falls within a higher occupation rate then no amendment to the departure date will be permitted unless you agree to pay for the amended occupancy period at the higher occupation rate. If your booking is less than 7 nights in length, we will not be able to make any changes to the departure date or the length of the booking. If your booking is greater than 7 nights in length, we will require you to provide us with notice, specified in the table below. 15 nights or greater No less than 14 days prior to new departure date. Any amendment to your booking to an earlier departure date will incur the administration fee. If you check-out prior to the booked departure date or amend your booking to an earlier departure date, then we will attempt to re-let the apartment. We won’t be required to refund you any money if we are able to let the apartment to an alternative occupant. This is the bit where we talk about what we expect of any Go Native guest and what you can expect from us. 10.8.1. This licence permits you or any occupant named by you to us at the time of booking to stay at a specific type of apartment within a building operated by Go Native and permits you and those occupants access to that apartment through common areas of the building for the occupancy period that you have booked and for any extension we agree. This permission is conditional on prompt payment of a fee and subject to appropriate behaviour on your part. 10.8.2. We hope we will not need to, but we can withdraw that permission at very limited notice if we need to. This licence does not grant you or any other party a right to stay in a specific apartment or create any form of legal interest in the apartment, building, or other property. Nothing in this document or any other agreements creates a tenancy in respect of any property. enter the building or apartment, whether or not you have notified us of that person’s attendance. You take full responsibility for the behaviour of any person that you, or an occupant that you have approved, allows to enter the building or apartment. 10.9.1. You agree to pay the fees specified in the booking agreement you have entered into for the occupation of the apartment and use of the building services and the fees for any additional services promptly in advance. Where a monthly payment schedule has been agreed, you agree to ensure adequate funds are available on the card you have provided for the Recurring Card Payment. 10.9.2. Your fees are inclusive of all charges in respect of the following utilities: Gas, Electricity, Water, TV Licence, Council Tax and Insurance for any items supplied by us. Please note that our insurance does not cover your possessions or those of any occupant. 10.9.3. You and the other members of your party are responsible for payment of any charges made for use of any other facilities not listed above such as, but not limited to, Cleaning, Ironing, Dry Cleaning, Full Housekeeping, Upgraded Broadband, Gym Membership, Parking Facilities, Storage Facilities, Satellite TV, Kitchen Packs and any other fees levied by Go Native for the use of amenities. Damage, misuse, inhibit or render inoperative any safety equipment, fire safety equipment, or alarm system. 10.10.2. You agree to use the apartment and the building in a reasonable and responsible manner at all times. 10.10.3. You agree not to display any items in the windows, or hang items out of the windows, such as signs, laundry, flags, posters etc. 10.10.4. You agree to store bicycles in the storage areas provided and not to bring bicycles into the building or apartment at any time. If a bicycle is found to be stored within the apartment, we reserve the right to remove it and place it into the storage area. 10.10.5. You agree to adhere to the Fire Safety Notices provided in every apartment, not to tamper with any fire safety equipment provided, never to cover heat or smoke detectors and not to cause false activation of the fire alarm systems. 10.10.6. Any damage caused to fire safety equipment is a criminal offence and Go Native will report any occurrence to the authorities and press charges. We will also seek damages for the cost to repair any equipment. 10.10.7. Go Native will levy a charge to you in the event that you cause repeat or persistent false activation of the fire alarm system. 10.11.1. Go Native have agreed to provide the apartment and its fixtures and fittings to you clean and in good repair and condition. For bookings of greater than 28 days an inventory and condition report is carried out at the beginning and end of every booking. We advise that you check this upon arrival and inform us if you identify any issues with cleanliness or lack of repair. If you do not report any issues within 48 hours of Check-In then you agree that the apartment is provided in that condition. 10.12.1. 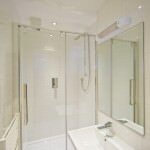 You agree to operate any appliance, fixtures and fittings provided by us in accordance with the provided instructions. If upon your arrival we have not provided you with instructions you must ask for these prior to operating the appliance. Failure to operate the appliances as per the instructions may result in damage to the appliance, which we will hold you responsible for. You agree to look after them and return them back to us, at the end of the booking, in good condition. 10.12.2. Guests are not permitted to fix anything to the walls of the apartment. If you wish to fix anything to the walls of the apartment, please speak to the Guest Services team who will provide a member of our maintenance team to help you. 10.13.1. You agree to promptly report any items within the apartment or building that require repair, to us. You also agree to take action as soon as you become aware of a problem to minimise its effects and prevent it becoming worse. In the event that an unreported issue worsens and causes damage, you agree to compensate us for any losses we may suffer. 10.13.2. You are not permitted to make any repairs or instruct another party to make any repairs to the apartment. If you make a repair or instruct another party to make a repair on your behalf Then you will be liable for any defects in materials or workmanship which reduces the apartment below the standard it was in at the start of the booking. You will also be liable for any costs or expenses we incur in checking the quality and suitability of any repair you have made. If we are made aware at any time that repairs or alterations have been made to the apartment we will terminate this agreement with immediate effect. 10.13.3. If once you have vacated the apartment, we identify a required repair that you have not reported to us, we will assume this to be damage due to negligence or carelessness and charge you accordingly. 10.14.1. You will keep the apartment properly ventilated to ensure that there is no build-up of damp or moisture or of cooking smells, smoke or grease. 10.15.1. You will dispose of all rubbish and waste promptly using the facilities provided. You will not dispose of waste or rubbish in any system not designed for this. In particular you will take care to avoid blocking of or damage to drains or sanitary appliances by seeking to dispose of inappropriate items or abrasive, corrosive or hazardous substances. Appropriate refuse disposal areas are provided in all properties, the Welcome Guide in your apartment will detail the location of these. 10.16.1. You will use the cooking facilities provided with reasonable care and according to the manufacturer’s instructions so as not to cause damage to the apartment, building or any fixtures and fitting and so as not to cause fire or smoke alarms to be activated. 10.16.3. All cooking must be carried out with proper ventilation using the provided equipment so as not to cause odours to remain in the apartment. Where odours from cooking remain after your departure, we may charge you for professional services to help remove them. 10.17.1. 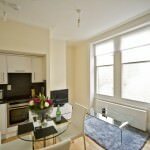 You will keep the apartment clean and tidy and will bear primary responsibility for its condition on your departure, even if you have asked us to supply you with a separate cleaning service. 10.17.2. If there has been a breach of the licence agreement by keeping animals within the apartment or smoking then specialist cleaning will be required and any costs incurred will be levied against your account. 10.18.1. At the end of your booking or upon your departure date if you choose to leave earlier, you agree to removing all occupants or other persons, all possessions and rubbish from the apartment and building and leaving the apartment and its fixtures and fittings in the same good clean condition it was provided to you at Check-In. We recognise that over time the condition of some areas may deteriorate due to wear and tear; we will be fair about this. 10.18.2. If upon your departure, we identify any Go Native property is missing we will seek damages from you to cover the cost of replacing such items. We will also inform the Police and press charges. 10.18.3. If you or any other occupant leave any property behind which is bulky or not easily portable then you shall be liable for an on-going licence fee until such time as we can remove the property and you shall also be liable for any costs we might incur in removing or storing this property. 10.18.4. If you leave any other item behind that Go Native deem as high value, such as jewellery or electronic goods, we shall attempt to make contact with you to arrange collection. You shall be liable for any storage costs we might incur in storing it for you and you agree that if any item is not claimed within 7 days of your departure or you are not contactable during this time then it shall be deemed abandoned and we can sell or dispose of it at our sole discretion with us retaining any proceeds of any sale to offset our storage and administrative costs. Please contact Guest Services on 020 7313 2383 for enquiries relating to any item which has been lost or you may have left behind. 10.18.5. Food items or perishable goods will be disposed of immediately upon Go Native becoming aware, Go Native will not store or save any such items for guests under any circumstances. the charges for repairs, replacement and work required. We will reference the inventory and condition report that was undertaken prior to your arrival. Where possible, photographic evidence will also be supplied. If an apartment is vacated in such a condition that repairs and cleaning will make the apartment uninhabitable for more than 48 hours, an extra charge equivalent to 48 hours occupation will be made. 10.19.1. You agree to compensate us for any cleaning or decoration of the apartment or building required, any losses we might suffer, or any fees or charges we have to pay, including compensation to other persons staying in the same building, caused by failure to fulfil any of your obligations in this agreement. person residing, working for or on behalf of Go Native, or carrying out their lawful business in the building or immediate area. 10.20.2. We operate a zero tolerance policy to any amplified noise after 11pm. We will terminate this agreement with immediate effect if any occupant or invited visitor is found to be causing excessive noise. 10.20.3. We operate a strict policy against parties or gatherings in our buildings and apartments. Any substantial complaint or a party will result in any visitors involved in the party being asked to leave and will lead to termination of this licence with immediate effect. staff. 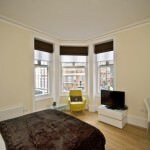 During all times the safety and behaviour of any visitor or overnight guest remains the responsibility of the occupant. For the avoidance of doubt any breach of the terms of this licence by a visitor will be the responsibility of the occupant who allowed the visitor into the building or apartment and the occupant will be treated as being in breach of this licence. We reserve the right to ask non-resident guests to leave at any time. 10.21.2. Overnight guests are allowed, but the total number of guests in the apartment at any time cannot exceed the maximum number of guests allowed to stay in the apartment. The maximum occupancy of an apartment is communicated at the time of booking. This is to ensure we adhere to fire regulations and Health & Safety legislation. 10.22.1. You agree not to change the number or identity of occupants without first notifying us. Not propping or holding open external doors, windows, and other forms of access to the building and apartment when you are not supervising them. 10.24.1. You agree not to display any form of sign or logo that is visible from the exterior of the apartment or building and not to use the apartment or building, its address or location in any form of advertising or promotional material. 10.25.1. Throughout your stay, we or a contractor permitted by us may need to enter your apartment. 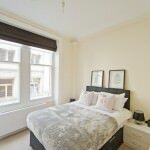 We will aim to provide you with at least 48 hours notice of our intention to access your apartment and where possible to access your apartment during normal working hours, however this may not always be possible. 10.26.1. Our staff are here to help. We will not tolerate any harassment, abuse, or violence toward any member of our staff, our third party apartment providers and their staff, or any of our suppliers or contractors.. Anyone found to be threatening or harassing a member of our staff will have their licence terminated and we will report the matter to the Police. a specific apartment within the location. If we have to downsize your apartment we will reimburse you any difference in the fees. 10.28.1. 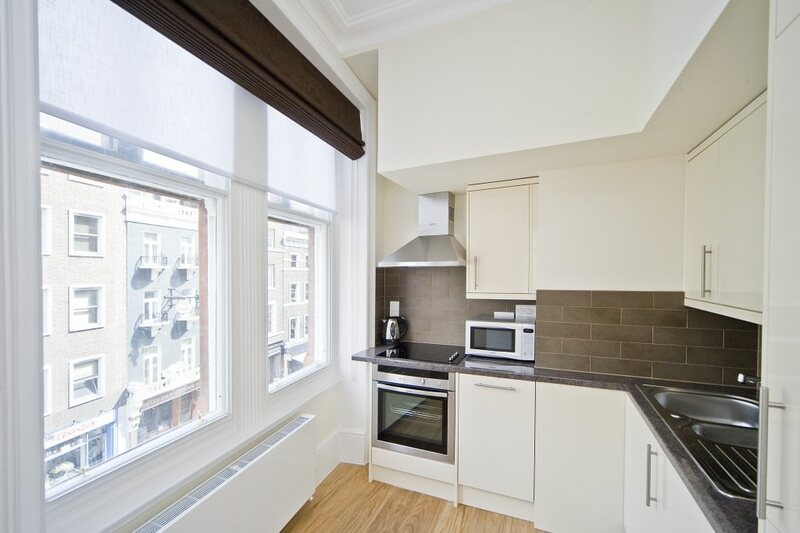 We agree to provide you with functioning cooking and washing facilities within your apartment. 10.29.1. 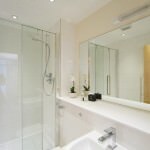 We will ensure that your apartment is cleaned to a high standard and that the apartment and all fixtures and fittings are in good repair before allocating it to you. 10.29.2. 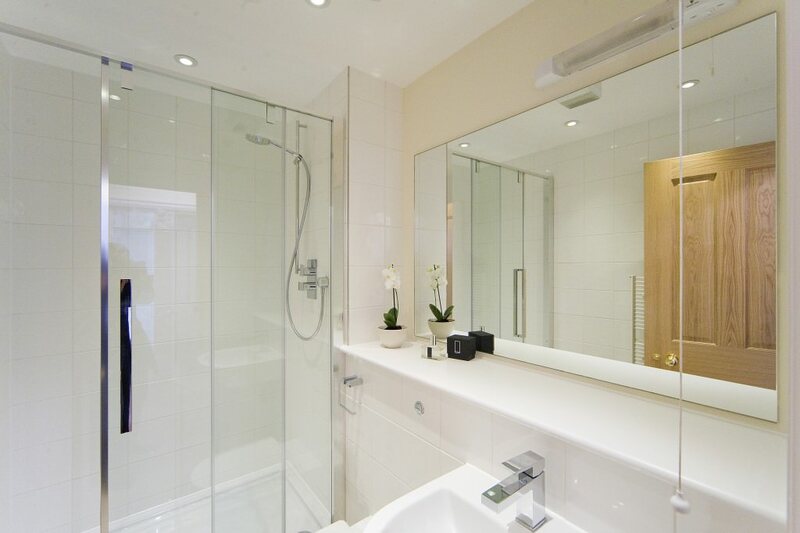 We will conduct regular visits to the apartments to check the condition of the apartment, no less than every quarter. We will provide written or verbal notice of our intention to visit your apartment 48 hours prior to the visit taking place. 10.30.2. We are not liable for any repair until it has been notified to us. We are entitled to a reasonable time to make any repair that is required having regard to its seriousness., your circumstances, the time of day, any public holidays, and the availability of necessary parts. Where we cannot make a repair in a reasonable time we are entitled to require you to move to an alternative accommodation. 10.30.3. We will not be obliged to repair or replace anything that has been damaged or destroyed due to your negligence, carelessness, or misuse or that of any occupant or guest or visitor you or an occupant have invited into the building or apartment. If we do repair or replace any such items we will charge you the full cost. 11.1.1. We may terminate this licence at any time where you are in breach of any part of this licence or any other agreement made with Go Native or a supplier of services provided in relation to your occupation of the apartment. You may terminate this licence only in accordance with the terms of the early departure and cancellation provisions in the Accommodation Agreement with us. 11.2.1. This licence is granted subject to the booking, cancellation, and extension provisions contained in the Accommodation Agreement you have entered into with us. 11.3.1. Any notices required under this agreement will be sufficiently served if emailed by us to you at the email address provided on booking or by you to us if sent to Go Native, United House, 9 Pembridge Road, London, W11 3JY or enquiries@gonative.com. 11.4.1. This licence shall be subject to the definitions and interpretations contained within this document. 11.5.1. We aim to deliver the best possible service, in the unlikely event we fall short of your expectations we want to hear from you. You can contact us via the Guest Services teams in your building, by calling Guest Services on 020 7313 2383 or in writing to Go Native, United House, 9 Pembridge Road, London, W11 3JY. We aim to acknowledge any complaint within five working days. 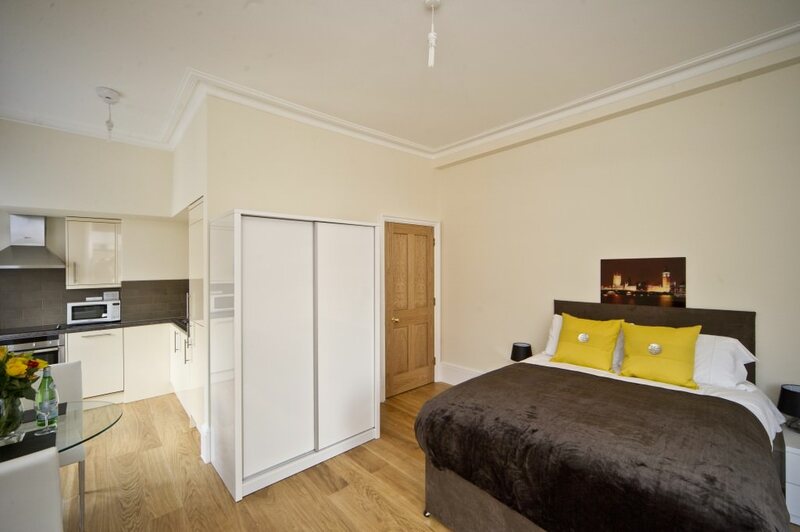 Pembridge Road, London, W11 3JY (including , where appropriate, our employees, third party apartment providers, suppliers and agents, and insurers) and any properties that Go Native may own or operate on behalf of someone else. “You” means the party making a booking for an apartment with Go Native. “Additional Services” means services provided by Go Native or third party companies approved by Go Native which are ancillary to the provision of residential accommodation. “Administration Charge” means the charge of £25 + VAT which will be made by Go Native for our time in the processing of cancellations or amendments to a booking. “Apartment” means a self-contained unit of accommodation within in a specific building which you have booked and the Occupant is permitted by Go Native to occupy in accordance with an agreement to which these terms and conditions relate. At no time does Go Native offer a Booking for a specific apartment and the actual apartment provided will not be finally allocated until Check-In. Go Native may ask you to move from one Apartment to another at any time. “Apartment type” means the size and quality of accommodation unit in a specified building which you have booked and the Occupant is permitted by Go Native to occupy in accordance with an agreement to which these terms and conditions relate. “Alternative Accommodation” means an alternative Apartment that we offer you in the event that we are unable to allocate you the size or quality of Apartment you have booked with us at Check-In or where we require you to move from your Apartment. Wherever possible this will be of similar or better size and quality in the same Building or another Building within 3 miles. “Booking” means the arrangement made by you with Go Native to occupy a specified Apartment Type in a specified Building for an Occupancy Period from a Commencement Date. “Check-In” means the point in time on or after the Commencement Date at which you or a designated Occupant first arrives at the Building in order to take up occupation of an Apartment. At the time of Check-In you enter into a licence agreement with Go Native for the use of the accommodation. “Confirmation” means that Go Native has acknowledged and accepted your booking on a provisional basis. It does not mean that Go Native guarantees to provide you with accommodation in your chosen Apartment Type and this is subject to availability at the time of Check-In. “Security Deposit” means monies held by Go Native as security for any failure by you or by any Occupant to adhere to the terms of the booking agreement or licence agreement. “Fixtures and Fittings” means the furnishings and other appliances provided by Go Native in the Apartment. “Occupant” means the person or persons who have been named to Go Native as occupying an Apartment. “Recurring Card Payment” means the authorisation by you for Go Native to deduct occupation, service and security deposit fees from a valid payment card. “Service Media” means central heating and hot water systems, electrical services for power and lighting, drainage and water services and any data or phone services provided. “Staff” Means any employee, agent, or contractor engaged by Go Native in relation to its operations. “Valid Payment Card” means a credit or debit card held in the name of one of the Occupants, or a company which employs one of them, provided by American Express, Visa, MasterCard, Visa Delta and Maestro/Solo which has been registered with Go Native and validated by them. “Website” means the internet booking service operated by Go Native for the purpose of selling and managing bookings of its Apartments. 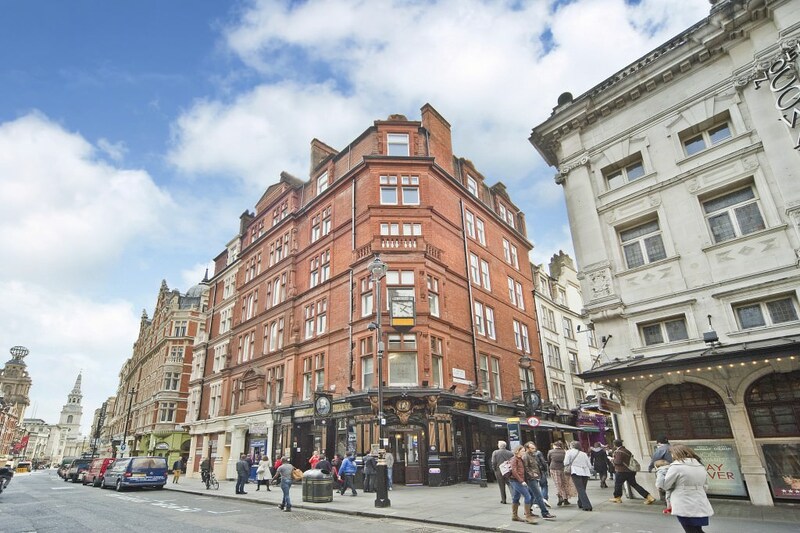 Native Covent Garden is situated in a quirky period red brick building in a little pedestrianised street behind the Wyndham Theatre and the Noel Coward Theatre close to both their stage doors. 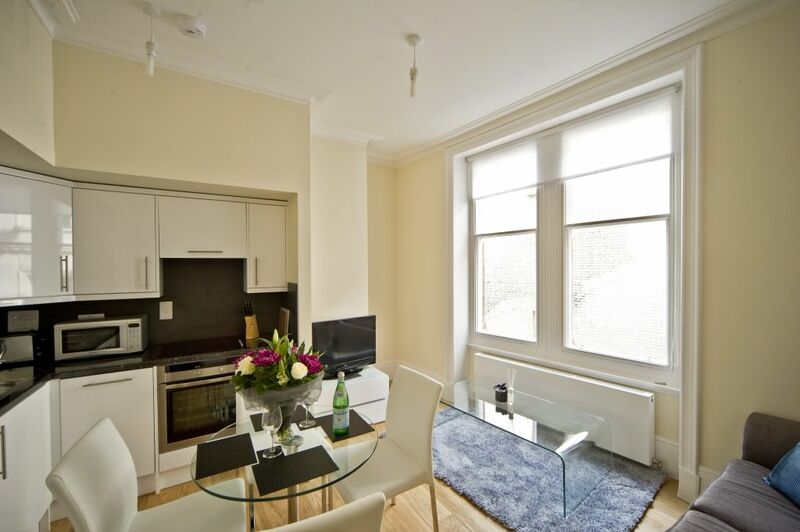 The residences are a snug, oasis away from, though surprisingly near to the hubbub of Leicester Square. The nearest underground station is Leicester Square (where visitors can use the Northern and Piccadilly lines), however, Charing Cross underground and mainline station and Covent Garden underground station are both in the immediate neighbourhood. So many iconic sights and attractions of London are in close proximity such as Trafalgar Square; Piccadilly Circus, Leicester Square, Covent Garden, Theatreland etc. Enter the characterful red-brick building through an inconspicuous door, there is then a flight of stairs to a main landing where there is another run of stairs to the studio and one bedroom apartments. There is no lift in this unusual property, but there is Wi-Fi, weekly housekeeping and Freeview TV. 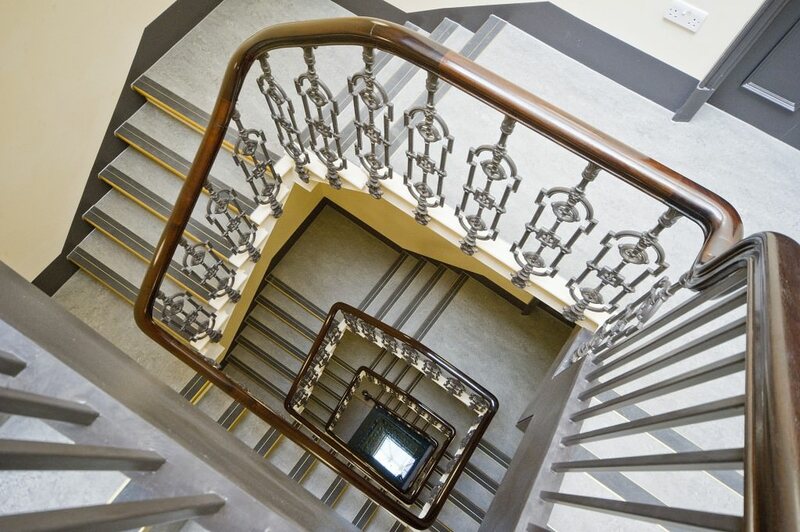 Native Covent Garden has retained some of the original features when renovating the property, combining the classic with modern for a stylish finish. 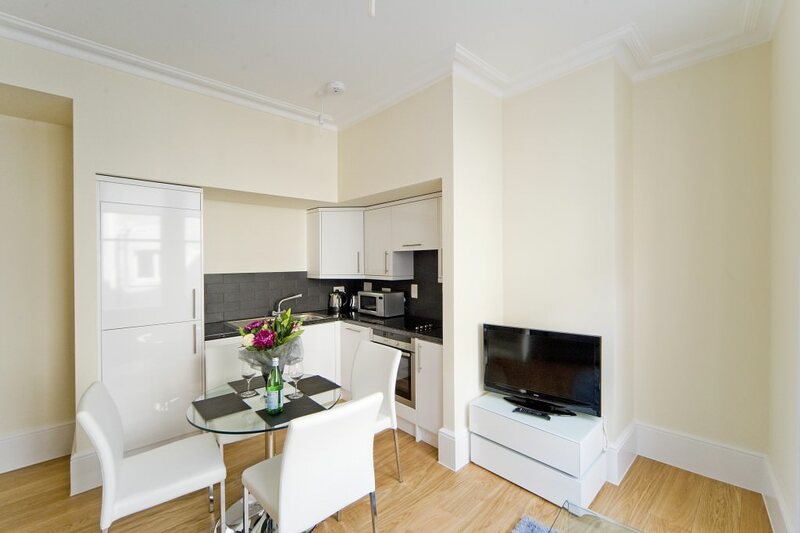 Bright, airy and calmly decorated in a neutral colour scheme, the accommodation provides a contemporary base in an exciting location for guests wanting to enjoy a stay in centre of London. 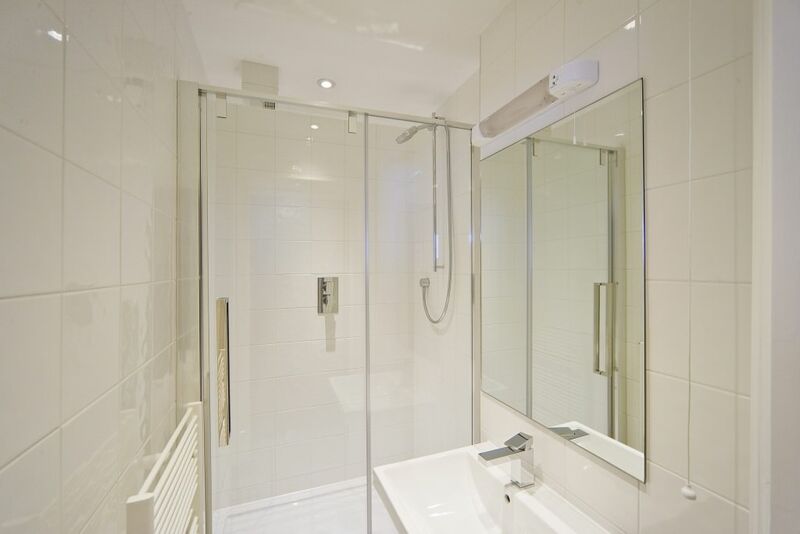 Functional, equipped kitchens and chic shower rooms with designer toiletries and homely living space ensure a warm and inviting stay with the comforts of home. 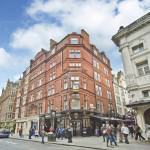 For the safety and peace of mind of residents, Native Covent Garden have installed CCTV.